A string of holidays lined up one after the other, coupled with banks’ annual closing of accounts for the financial year, could disrupt financial transactions in the stock markets, export and shipments, and salary payments, warned the Associated Chambers of Commerce & Industry of India. It said the Reserve Bank of India and the Centre should make some alternative arrangements to avoid a crisis. 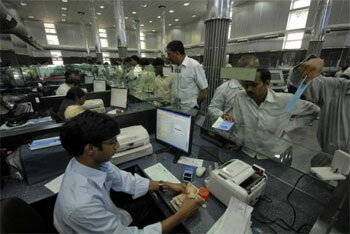 “We would urge the Reserve Bank of India to step in and advise the banks to make some arrangements. “With the government being the majority owners of the public sector banks, the finance ministry should also prevail on the bank managements to avoid this kind of huge customer inconvenience and widespread disruption to the business environment,” Assocham secretary-general D S Rawat stated. March 28 is a holiday on account of Ram Navami, which is followed by a Sunday. Even though the banks will open for the public on Monday, March 30, they would again be out of reach on March 31 and April 1 because of the annual closing. On April 2, the banks will remain shut because of Mahavir Jayanti, followed by the holiday for Good Friday on April 3. The next day being a Saturday, banks will work only for a couple of hours. The banks will be closed the next day, on April 5, because it’s a Sunday. According to Assocham, while the ATMs will technically remain operational, problems could arise. “A large number of ATMs do not work properly. Besides, they are not even well spread. The long spell of holidays could also affect cargo operations, impacting export and import. “As it is, our exports are in a state of disarray with 15 per cent de-growth (fall) in February. "These holidays would certainly tell upon the export figures for March and April, when the figures for these months are released,” said Assocham.